Today has been such a busy day! I have so many plans that I am working on!!! 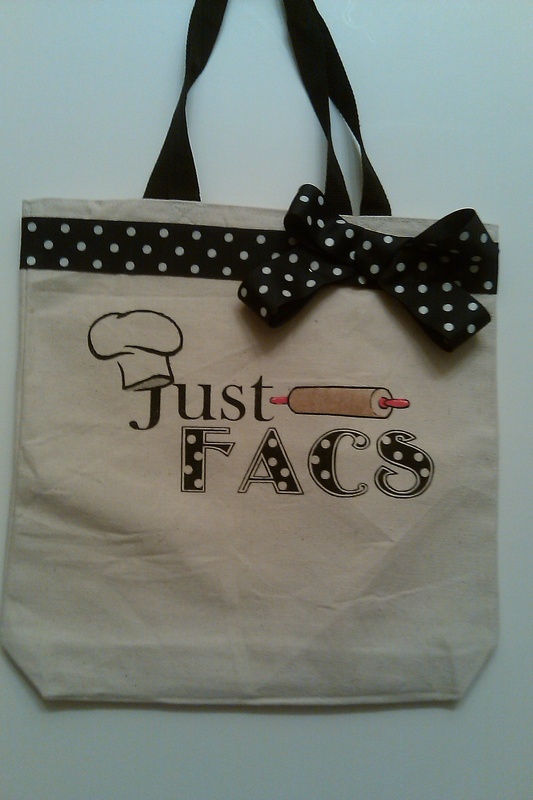 But here is Day 3’s give-a-way…a custom Just FACS tote bag!!! Hope everyone is having as much fun as I am!!! All you have to do to qualify for this give-a-way is leave a comment either here or on facebook!!! Good Luck! The winner will be announced tomorrow night!!! Awesome stuff on your site! I look forward to all of your tips and resources! Refreshing to find resources I can use! Wow! I love your website! I just found out about it and I am excited to view all your resources! I love all of your giveaways! Awesome. I’m having such a good time perusing your site and entering giveaways….Thank you for doing this for us! Super cute bag! I LOVE your Just FACS logo!